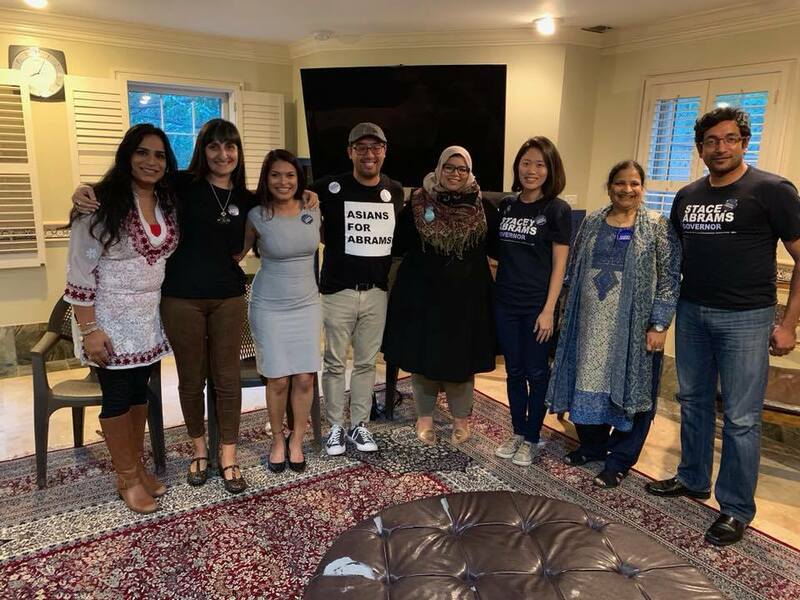 Atlanta, GA, October 22, 2018: The second Chai and Chaat open house with South and East Asian American Democratic staffers was hosted by Naheed Syed and her daughter Feroza Syed in Sandy Springs on October 14, 2018. 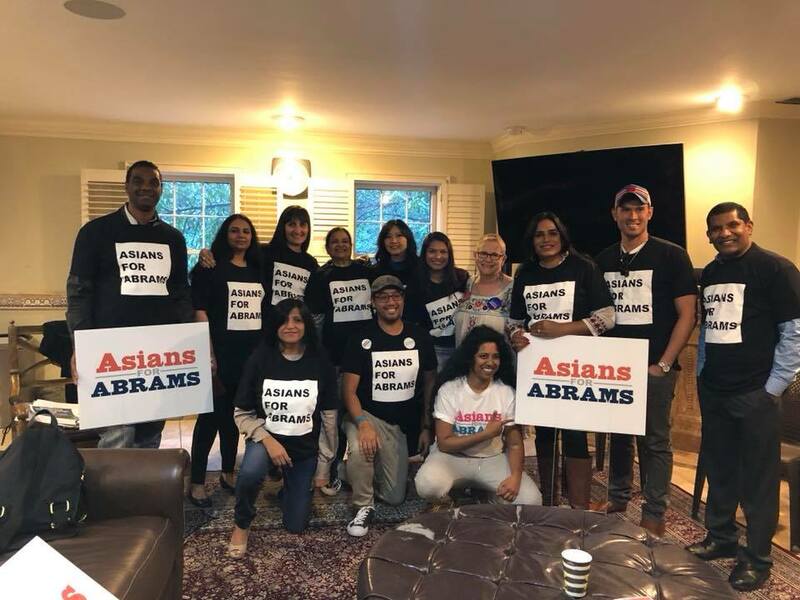 Over $3,000 was raised for Democratic candidates ($1000 for Beth B. Moore, $1000 for Stacey Abrams, $500 for Aisha Yaqoob and $500 for Angelika Kausche). Close to 50 people attended the event, despite the short notice. 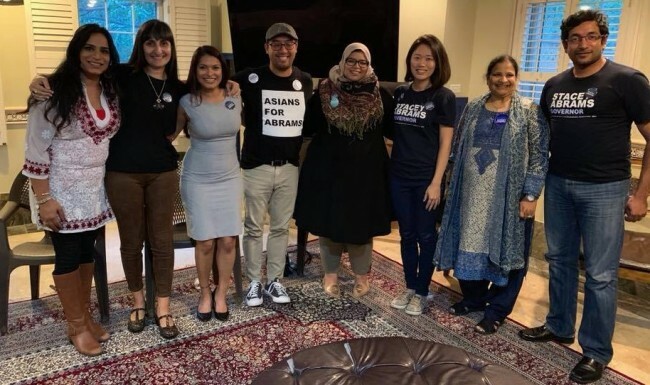 Speakers included Grace Cho- Democratic Party of Georgia’s Coordinated Campaign, Pallavi Pukayastha- Chief of Staff for Rep. David Dreyer and also Campaign Manager to Angelika Kausche, Aisha Yaqoob- State House candidate, Anjali Enjeti- local activist & writer, and Savith Sampath- Democratic Party of Georgia’s Coordinated Campaign. “This is a testament to the energy people are feeling right now. 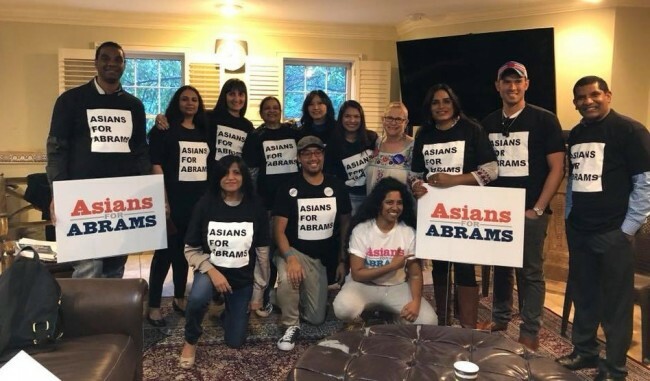 Stacey Abrams, Sarah Riggs Amico, and Democrats down the line support a platform of love and acceptance for all. That includes API folks, POC folks, immigrants, and LGBTQIA folks,” said Feroza Syed, who is an LGBTQIA activist. “As a business owner who sells millions in real estate, I’m also happy that the candidates I support, support local small businesses,” she added. She said, in comparison, Democrats are taking on things that matter, like education, rural healthcare, and expansion of Medicaid. “I’m proud to be able to support such strong, caring, and capable candidates in any way I can,” she concluded. Syed’s next event is ‘Ya’ll Means All’ on the 28th.